Cut cucumber into quarters and remove seeds. Discard seeds. Cut cucumber into 1/2 inch chunks and place in a medium bowl. Toss in olives and feta. Fold marinade gently into cucumber mixture. Serve immediately or within a few hours. The feta cheese falls apart with time and with mixing. If you need to make this salad in advance, cut the feta into larger cubes or add marinade just before serving. You may add grape or cherry tomatoes if you like. Halve the cherry tomatoes. 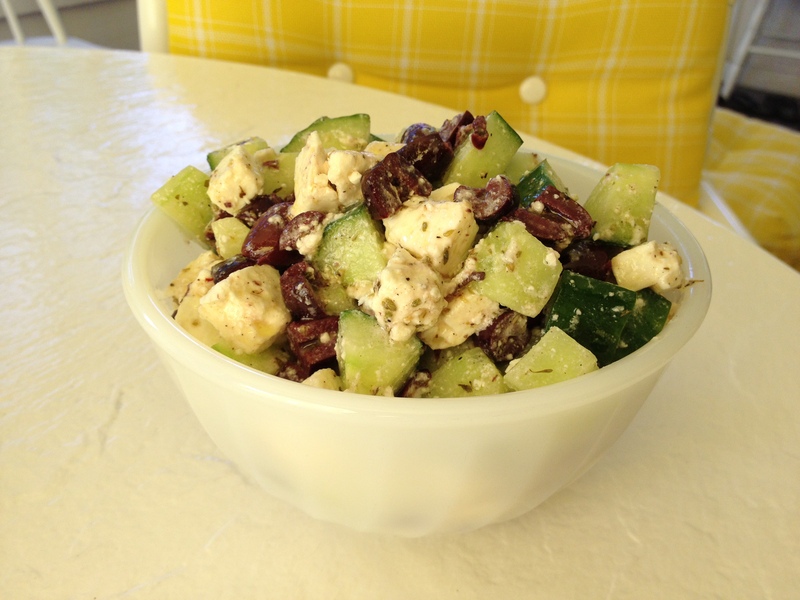 Posted in salads and tagged Arab, English cucumber, feta, Greek, olives, quick salad. Bookmark the permalink.